The World Society for Transport and Land Use Research (WSTLUR) promotes the understanding and analysis of the interdisciplinary interactions of transport and land use, offers a forum for debate, and provides a mechanism for the dissemination of information. 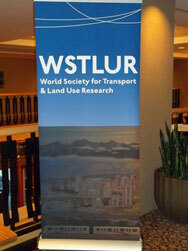 The Society organizes the World Symposium on Transport and Land Use Research. The first symposium was held in Whistler, Canada 2011, the second was held at Delft, The Netherlands in 2014, and the third took place in Brisbane, Australia in 2017. The next symposium is planned for 2020 in Portland, Oregon, in the United States. Save the date! 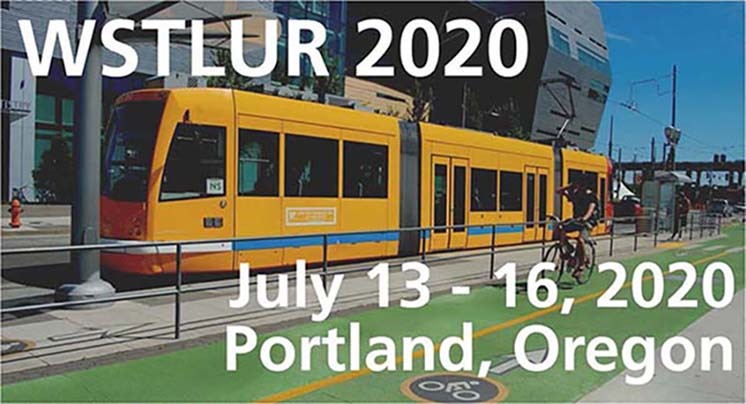 Join us at Portland State University for the fourth triennial convening of WSTLUR—the premier conference of international researchers in transportation and land use. The symposium in Brisbane, Australia was held in July 2017. The Journal of Transport and Land Use (JTLU) is an open-access, peer-reviewed online journal publishing original interdisciplinary papers on the interaction of transport and land use. Domains include engineering, planning, modeling, behavior, economics, geography, regional science, sociology, architecture and design, network science, and complex systems.